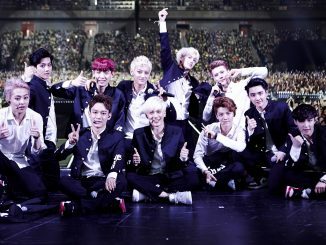 Once again, the wait for K-pop fans is over. 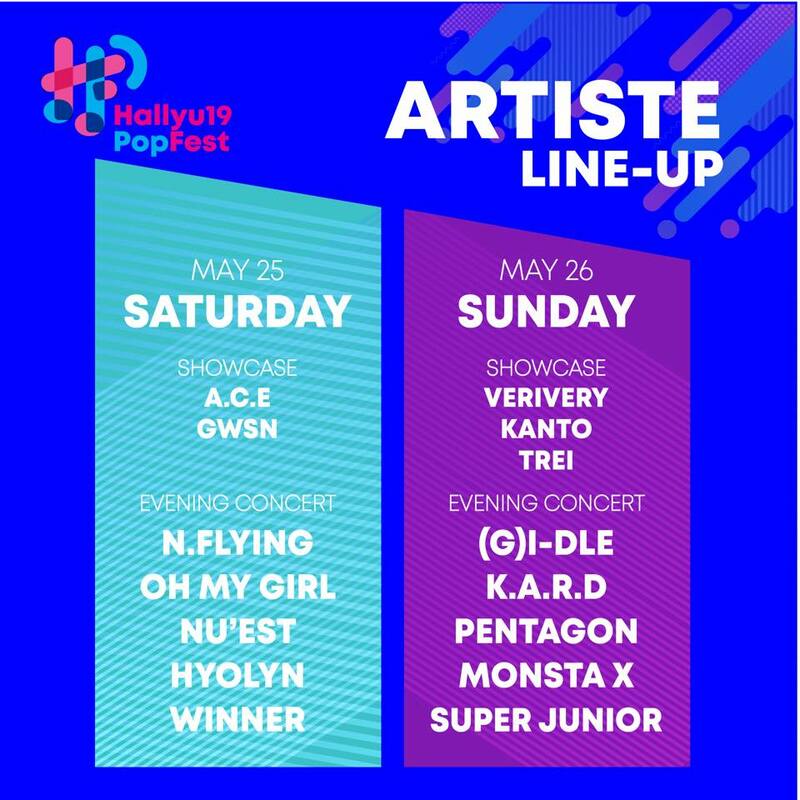 After teasing on social media with various hints of the artiste line-up, the full information has now been released for HallyuPopFest 2019, including the festival schedule and ticketing details. We will summarise everything into this page for your easy reference because it’s really extensive. 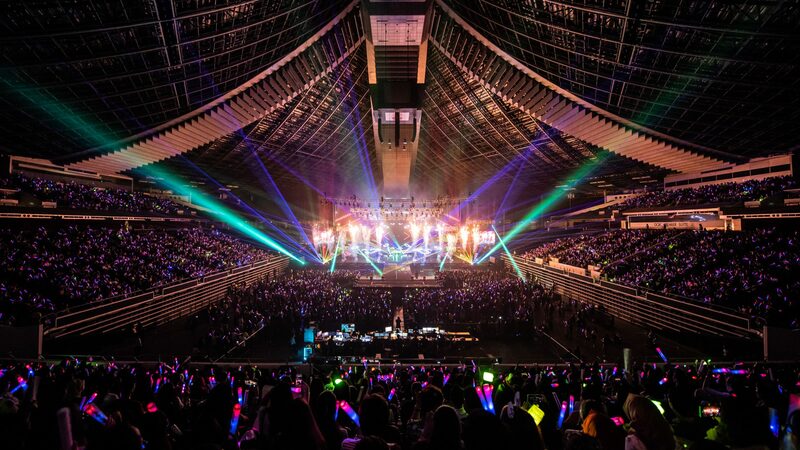 Returning for its second edition, HallyuPopFest establishes itself as South East Asia’s largest K-pop festival that aims to bring fans closer to their favourite Korean stars. Just like last year, the festival will feature afternoon showcases, evening concerts, red carpet events and fan engagement opportunities. 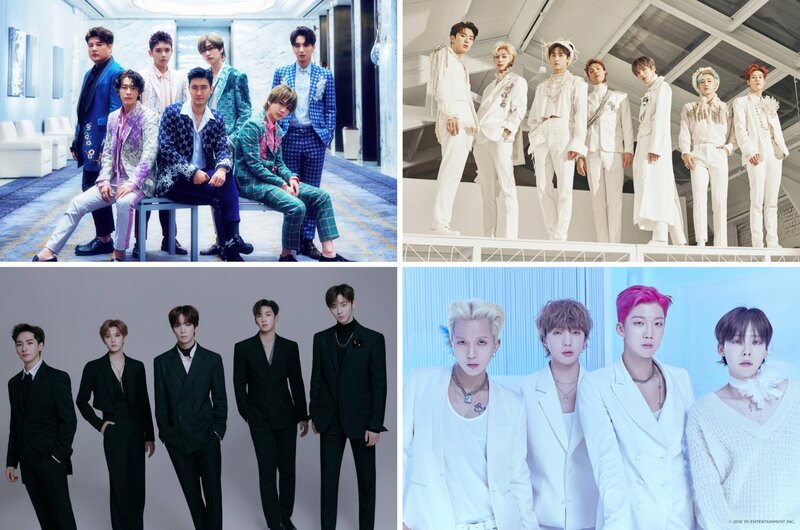 Additionally, something new to look forward to will be a dedicated Fan Support area for fans to show their love and support for their idols. When and Where will the Festival be Held? 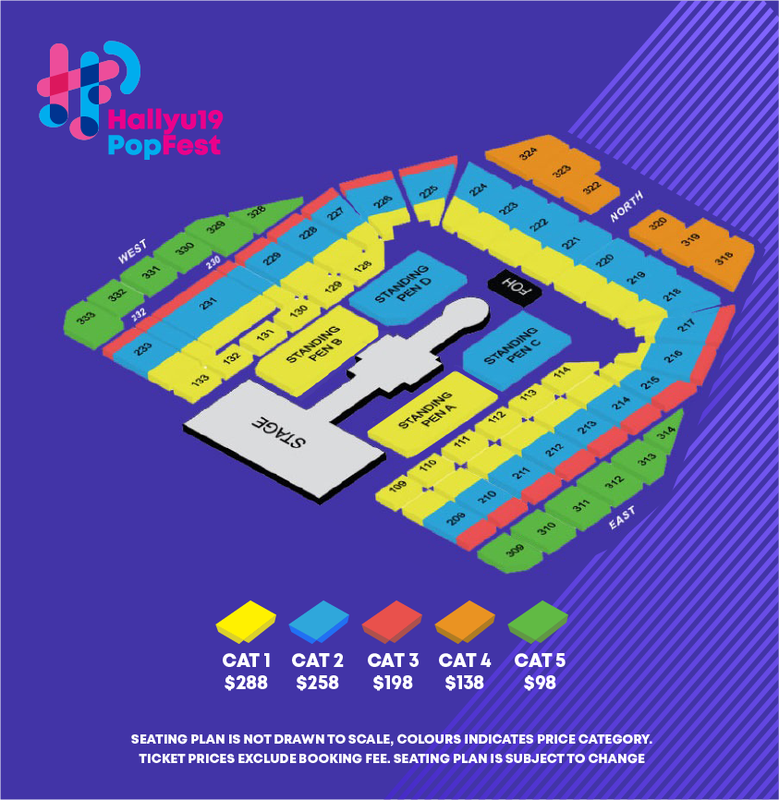 HallyuPopFest 2019 will be held over 2 days on May 25 and 26 at the Singapore Indoor Stadium. Each day’s activities will kick start at 1pm where the afternoon showcases will be staged, followed by the red carpet event at 3:30pm, artiste engagement sessions from 5pm, and finally the evening concert at 8pm, with the exception of the HallyuTown festival square that opens from 10am on both days. The festival’s finale (i.e. evening concert) promises power-packed performances that will go on for at least 3 hours each day, where headliners will perform their individual sets of at least 30 minutes each. The afternoon showcase will run for about 2 hours long. Who will be performing at the Festival? What are the Ticket Prices & Fan Entitlements? There are five standard ticket categories ranging from Cat 1 to Cat 5, priced from S$98 to $288 for each festival day. Similar to last year, all ticket holders will be entitled access to both the showcases and evening concert, applicable for same day activities only. EXAMPLE: If you purchase the Day 1 ticket (May 25), you will be entitled access to Day 1’s afternoon showcases and evening concert. This year, there’s no more DAEBAK passes but there will be a new HallyuPass that entitles the pass holder to the Artiste Engagement session with 1 performing act of the same day. 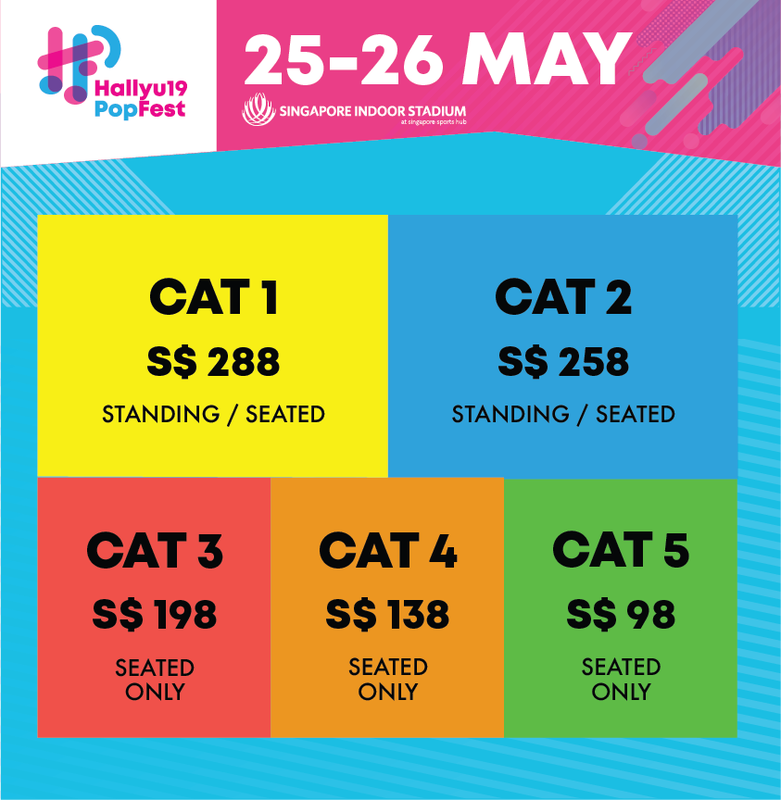 HallyuPass is only available for Cat 1, Cat 2 and Cat 3 ticket holders to purchase at an additional top-up of S$68 (each ticket can purchase 1 HallyuPass only), and pass holders will participate in a random draw to determine the artiste you will be meeting before the Artiste Engagement Session on the event day itself. 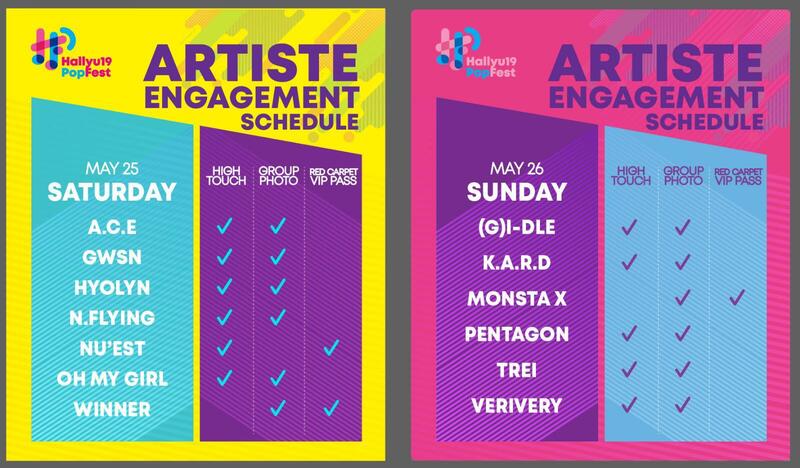 Check out the full Artiste Engagement schedule below! 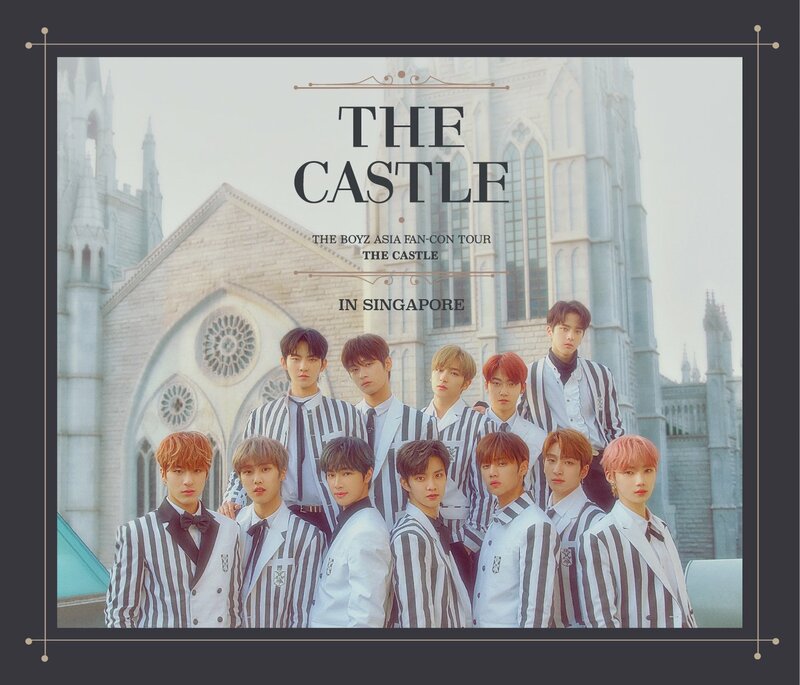 There will also be a 1-day Priority sale for all SingTel mobile subscribers and HallyuPopFest newsletter subscribers on March 29 from 10am to 11:59pm. Check out the seating layout below! Didn’t managed to find an answer here to the questions you have? Head over to the Festival’s website @ www.hallyupopfest.com to read the FAQs or you can also follow them on their Facebook here. We will keep all future updates pertaining to the festival on this page so check back often if you need to refer to the latest updates! 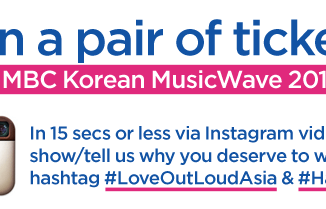 [GIVEAWAY] WIN a pair of tickets to MBC Korean Music Wave 2013 in Singapore!